Conservationists photographed unique Sitka spruce and mossy bigleaf maples outside Port Renfrew B.C. in its latest bid to draw attention to its desire for enhanced protections for old growth forests in the province. 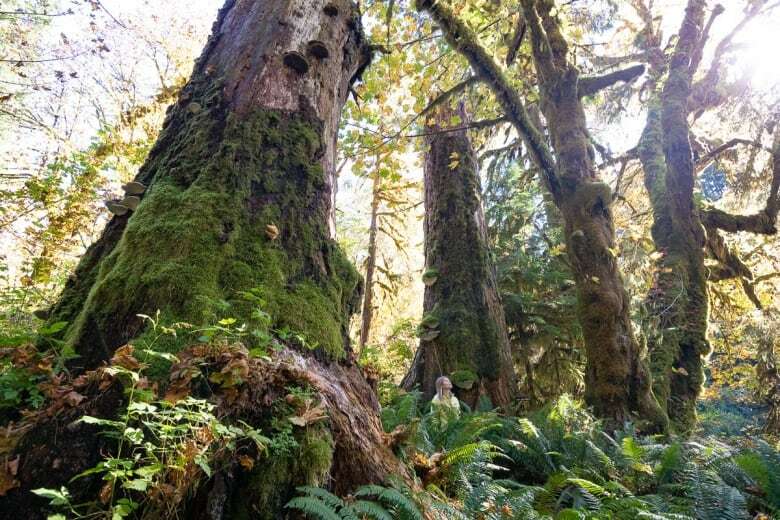 "This is perhaps the most magnificent and stunningly beautiful old-growth forest I've ever seen," said Ken Wu, executive director of the conservation group, Endangered Ecosystems Alliance. It features massive old growth Sitka spruce and bigleaf maples, which are covered is hanging mosses and ferns. 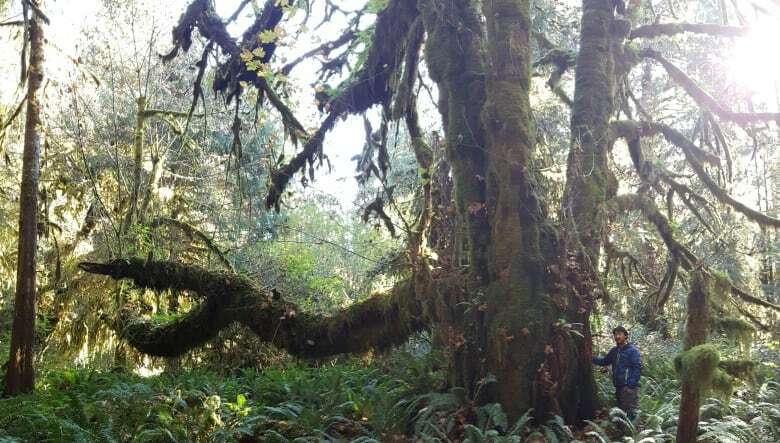 Wu and campaigners with the conservation group, Ancient Forest Alliance (AFA), have nicknamed the grove 'Mossome Grove,' a blending of the words "mossy" and "awesome." Several of the grove's trees are near record size. Based on B.C. 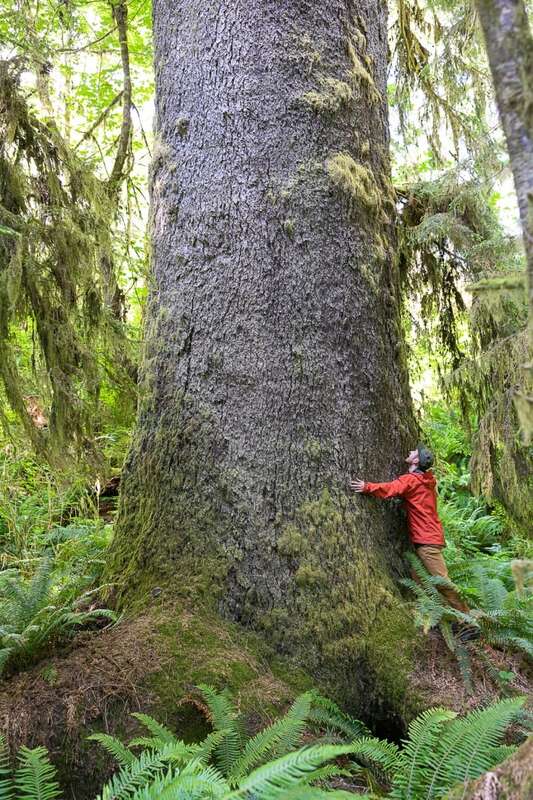 's Big Tree Registry, one Sitka spruce would rank in the top 10 in the province with a diameter at chest height of 3.1 metres. One of the bigleaf maples, which campaigners have named the "Woolly Giant," has a horizontal branch 23.1 metres in length. Wu says it may be the longest branch in B.C. "Of all of B.C. 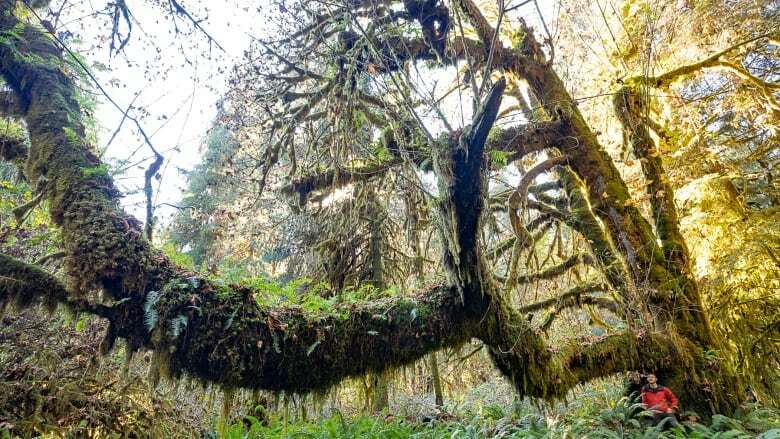 's ancient forests, this one deserves protection not only due to the scarcity of its ecosystem type, but because of its sheer unique beauty," said Wu. Another four hectares has some provincial protection according to Wu, while the remaining four could be auctioned off for logging by the government's timber agency. B.C. 's Ministry of Forests says it is currently working with key stakeholders, including conservationists like Wu, to refine its old-growth strategy. It has not said when that process will be completed.